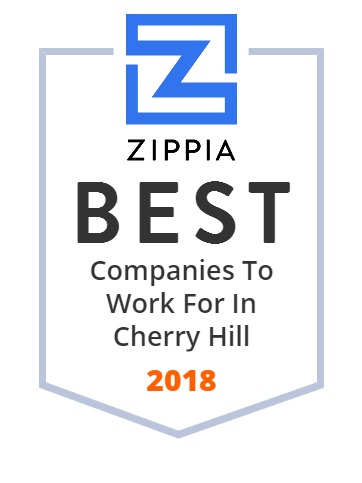 We hand-curated a list of the best companies to work for headquartered in and around Cherry Hill, NJ using data on salaries, company financial health, and employee diversity. Renoviso's top-rated, local contractors are trusted by thousands of homeowners. Get advice, a free online quote and book your windows, siding or roofing consult today. Bancroft is a leading non-profit provider of specialized services for individuals with brain injuries, autism and intellectual disabilities. Cherry Hill Triplex offers many automotive brands and services to our South Jersey & Philadelphia, PA area customers. From new vehicles to used cars, we know anyone looking for a vehicle in Cherry Hill will likely find what they want at our new and used car dealership in NJ. They carry a comprehensive line of new cars. At J & J Staffing Resources they want to align employers with the best possible candidates at the best possible price. They have been successfully living up to this mission since 1972, and they strive to deliver a world-class service experience to each and every one of their clients and candidates. They will provide you with an unprecedented level of service and expertise. Take a look at our Home page. Anthony F. Bruce LLC is a full service tax, accounting and business consulting firm located in Cherry Hill, NJ. Cherry Hill is a 24-square mile area located in southern New Jersey, about 20 minutes from Philadelphia, 90 minutes from New York City, one hour from Atlantic City and three hours from Washington, DC They provide children with an education that develops open-minded thinkers with the strong academic and interpersonal skills to thrive in an ever-changing world and make it a better place for all. Winner Ford Cherry Hill provides guaranteed pricing, a huge selection and certified Ford service by factory trained technicians are only the beginning. You'll also find a knowledgable sales staff, a certified collision repair center and a parts department with an inventory so large that other Ford dealers come to them for parts. Cherry Hill is a township in Camden County, New Jersey, United States. McNaughton's started business in 1929 as a South Jersey landscape nursery. Through the years it has grown to a third generation company with a second store location in Somers Point, New Jersey. They locally grow a large portion of their plant stock at three of our locations in South Jersey. McNaughton's goal is to provide you with quality plant material and superior customer service. In recent years the Cherry Hill restaurant scene has drastically expanded. Good news for local customers, challenging times for restaurants and diners. On Route 70 near the old Ellisburg Circle stands one restaurant that continues to stand-out above the rest; Ponzios Diner. Focusing on quality food served promptly in a warm family atmosphere.